I didn’t much like Kate Middleton’s bouquet (I know, it was simple, elegant, sophisticated and rich in symbolism… but it was, also, well, just so small). But I did love Zara Phillips’ bridal bouquet. It was classic and contemporary, with white calla lilies (Zantedeschias), the lacy, felted leaves of silver cinerarias (known botanically Senecio cineraria) and steely blue sea hollies (Eryngiums). They’re the spiky blue, thistle-like flowers in Zara’s bouquet and they’re brilliant for picking. In my first proper perennial garden, back in 1995, I had a collection of eryngiums. They were my favourite fashionable plant (I’d probably read in Gardens Illustrated that they were trendy at the Chelsea Flower Show or something). I grew Eryngium planum (it’s in the Kings Seeds catalogue); Eryngium alpinum (Parva Plants have it but it’s currently sold out, though they do have others, like the new ‘White Glitter’ and an amazing new variegated form called ‘Miss Marble’); and Eryngium yuccifolium (which, as the name suggests, has spiky foliage like a small yucca). But my favourite was Eryngium giganteum ‘Miss Willmott’s Ghost‘. It’s a stunner, with large, pale silvery blue flowers. You can get it by mail-order from The Fragrant Garden or Greenhaus. There’s even a New Zealand native sea holly called Eryngium vesiculosum (from Oratia Natives), though it’s more of a collector’s item. It looks like a weed. 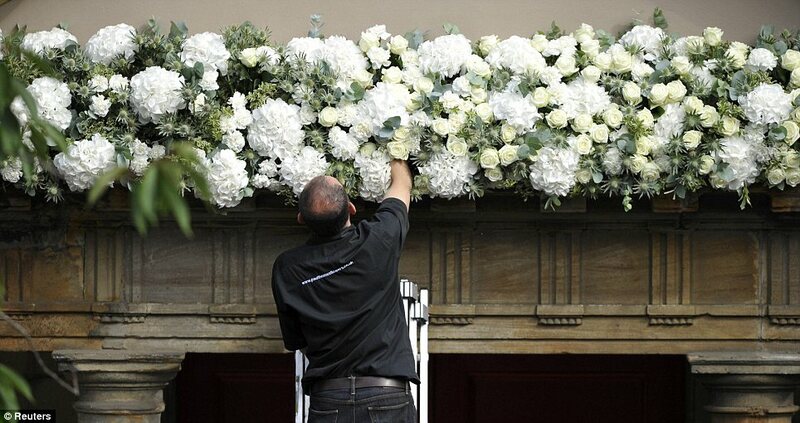 Back to the royal wedding: there were heaps of white hydrangeas at the church too. If you fancy rigging up something similar yourself, the best white hydrangea by far for Kiwi gardens is ‘Trophy’. Plant it in late spring for oodles of blooms all summer. The flowers last for ages before fading to greenish-yellow in autumn. They often dry on the plant so you get winter interest too. I just pruned mine back yesterday. I too love Eryngiums. Miss Willmott’s Ghost came about because she sneakily tossed the seed in other folks’ gardens. Am I right? Heard that story so long ago! Thanks for the pic of the wedding. I know I’ll see it in a paper soon but that was an early glimpse and I loved it. Preferred her dress to Kate’s, dare I say it. Not sure about the bridesmaid’s beefy calves…….maybe mid-calf length would have been good??? Yes – that was the legend re ‘Miss Willmott’s Ghost’. I see Beatrice and Eugenie toned down their hats this time too – and Camilla had a pretty groovy fascinator!